In this research, new ways to tailor the mechanical properties of 3rd generation biomaterials are being investigated. Scalability of properties to match surrounding tissue for mechanical compatibility and change of properties during maturation in a physiological environment is of the central interest. A biomaterial is 'a (non-living) material intended to interact with biological systems'. Biomaterials are of essential importance for modern medicine, improving the quality of life and constituting a multi-billion dollar market. Due to intense research and their outstanding medical and economic potential, 1st and 2nd generation biomaterials have been manufactured to a very high standard. However, further improvements are restricted by the simple fact that synthetic materials are unable to respond to changing physiological loads or biochemical stimuli. This puts a strong limitation on the lifetime of artificial body parts. Fig. 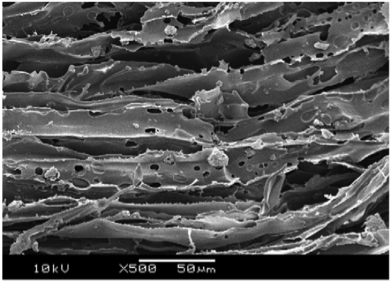 1 Third generation biomaterial: a) micro-structure of PLGA reinforced with TiO2 particles  b) cellular meso-structure. The solution to this was a paradigm shift towards biologically-based methods that focus now on the repair and regeneration of tissue instead of substitution. These 3rd generation biomaterials combine the benefits of 2nd generation materials being simultaneously resorbable and bio-active but aim to support the body's self-healing mechanisms. Two major challenges remain to be mastered: biological and mechanical compatibility. Recent research addresses the biological compatibility by attempting to position signalling molecules on surfaces in order to control the protein interaction. The second major challenge is the focus of this research: mechanical compatibility between biomaterial and surrounding tissue. 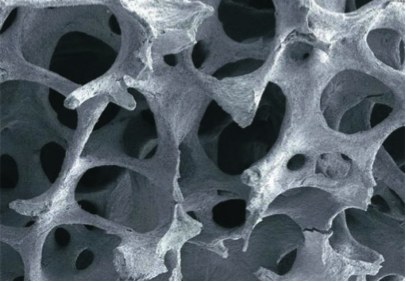 This requires tailoring the stiffness and strength of biomaterials as well as ensuring structural integrity during resorption until the formation of new tissue is completed. Due to its great complexity, this task is best achieved using computational modelling.